19 Comments This post may contain paid and/or affiliate links. Please see our disclosure policy for further information. Converting old photographs into digital images by scanning them is a terrific small business opportunity that offers flexible hours and a minimum investment. In fact, in addition to managing APPO, I share a photo scanning business with my teenage children. It has been a great opportunity to teach them the fundamentals of running a business including taking responsibility for a project, the importance of customer service, estimating a job, collecting money and saving for the future. This past month my 17-year-old daughter earned $1,000 working for one client. She scanned hundreds of photos in the comfort of our home, under my supervision and has a new batch to start on this week. Many people have a lifetime of printed photos that they consider priceless. We know the first thing many want to rescue from a burning building is their photo collection, but they often languish in shoeboxes, basements, and attics. That amount of time and effort to organize, sort, and collate a collection is often overwhelming. Many people assume they will get to it someday, but that someday never comes until there is a trigger such as an illness, retirement, funeral, wedding, milestone anniversary, or birthday. Also, many people fear that their photos may be lost if they ship them to an offsite scanning company. This need has resulted in a great business opportunity for people who would like to scan photos for profit. Again, the numbers are impressive, 1000 Memories estimates that there are over 1.7 trillion paper photos stored in albums, attics, and shoeboxes while Scan Café estimates that Americans have taken 550 billion non-digital photos. All of these photos represent the heart and soul of a family’s story and an opportunity for you to help solve their problem. Within your neighborhood and circle of family and friends, there are thousands of photos waiting for someone to organize, sort and digitize. Here are tips on getting started including the initial investment, income potential, and resources to help. Photo scanning offers the chance to work with family, friends, neighbors and local business within your community. Tell your network that you have started a new business and you can help them get their photo life in order. We have begun by posting flyers throughout our neighborhood and offered fundraising options to our school community. We gave back a percentage of all orders, which was a great incentive for people to bring us their boxes of photos. This was also an effective way to introduce our business to our family and friends. Just come up with a catchy title such as Neighborhood Shoe Box Scanning Service. If you are going to start a scanning business, you need to invest in the proper equipment. A home flatbed scanner is not the right tool for high-speed scanning. Most start with the Kodak PS50, which can scan up to 50 photos a minute, and EZ Photo Scan offers a competitive price ($1,299) and great customer service to help you get started. The average shoebox has 750 loose photos, and the average cost per photo scanning charge ranges between .35 – .40 thus a shoebox of photos will cost $300. When we started, our goal was to scan eight shoeboxes of photos and earn $2,400 to recoup our investment. We accomplished our goal quickly. Here is a link to a detailed chart with income earning potential, Building Blocks to Success. In addition to purchasing the scanner, we purchased a laptop that we dedicated as the scanner laptop thus we were able to keep our client's photos separate from our family photos. My Work Flow Studio, a division of Big Picture Coaching, has a library of resources you can purchase at their website. These forms are very helpful and have been created by Sherra Humphreys and Rita Norton, who are APPO™ certified photo organizers and currently work with VIP clients while designing tools and developing resources to help photo organizers bring their business to the next level. You can also rent your scanner for those who are interested in doing it themselves. This offers you another income opportunity. Mollie Bartelt and Ann Matuszak started their own company called Pixologie and offer assistance to others looking to start a similar business using their model. The typical rental cost is $100 a day. Photo scanning can open the door to other services such as converting outdated media, photo organizing, and digital photo management. The Association of Personal Photo Organizers provides excellent training and support for this growing niche in the organizing and photo marketplace. My son has earned an additional income creating slideshows and photo books for families for graduations, weddings and anniversaries. These jobs are the result of connecting with families whose photos we have scanned. International Save Your Photos Day, sponsored by the Save Your Photos Alliance, is an annual event held the last Saturday of September. In 2014, over 75 events were held in 4 countries. It is FREE to get involved and a great way for you to promote your new business. APPO hosts a National Conference every year and is the only educational conference and expo for photo organizers in the world. The conference features dozens of small group and interactive learning workshops, led by an impressive collection of passionate experts and certified photo organizers. 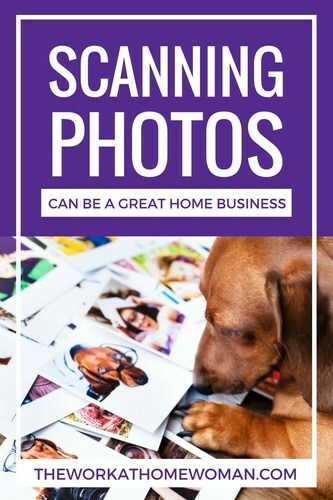 This is a great way to connect with other professionals who are offering scanning and photo organizing services. If you are looking for ways to add revenue to your existing business or starting a new business I highly recommend exploring this as a viable business option. What questions do you have about scanning photos for profit? The scanner you recommended is discontinued. What other scanner do you recommend? Do you need to get a business license? Each state has different rules for collecting sales tax, protecting yourself etc. You should contact your local state government about their laws. In my experience, there is no need for a “license” but you do want to be well trained if you are going to charge a fee for your services to ensure you are providing a quality product. Good luck and keep us posted on your journey! Great article! I’ve actually been thinking about starting this type of business as a little extra income for our family (I’m a stay-at-home mom). Suggestions would be greatly appreciated! You are correct Denise; it depends on the client needs. We also recommend backing up your photos in 3 ways, the originals, an external hard drive and the cloud. 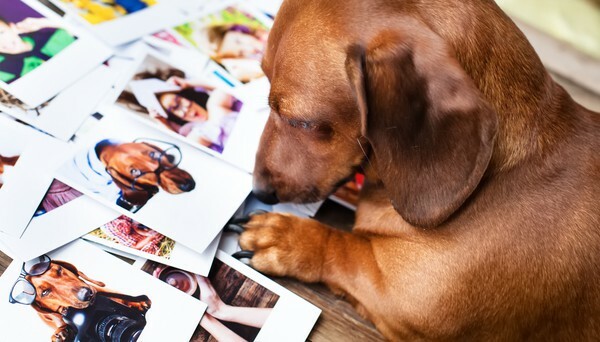 The Association of Personal Photo Organizers at http://www.appo.org offers a lot of training and support for small businesses that focus on scanning. Perfection!!! I have the tools, experience and ability! By jobe I think I have it! I didn’t see how does one charge/price for this service? 1) I’ve been doing some preliminary research on scanners and some articles I’ve come across suggest a flatbed scanner for pictures and negatives due to them being more delicate. I know you suggested above a feeder type scanner for efficiency purposes. Have you run into any misfeeds of the picture where the original was damaged? I want to be efficient with the work, but don’t want to damage any originals. 2) Do you have your clients sign any type of contract or agreement before you start the work? I’m just trying to think practically about any legal issues and what not. 3) How did you start getting the word out? What was your marketing strategy? Good luck on your journey and keep me posted! Hi! I also live in Chattanooga, and one local service, Southtree, has TERRIBLE Yelp reviews. Our community definitely needs alternatives! I am excited by this. It will take me awhile to save up the money, but maybe you and I can learn this business together, if you’d like! Email me at jennifermitts(at)gmail(dot)com or text me at (423) 838-1969. I think it’d be fun to have a learning partner (or even a business partner)! Maybe we could even open a brick-and-mortar store together! I don’t know, there are many site like ScanDigital and others that do this same service. It seems like a pretty saturated market. Could you please be a bit more specific with where to find the free guides on http://www.appo.org/? There are few additional costs to setting up a scanning business. You should speak with an insurance agent about liability insurance and marketing can be accomplished in many different ways including attending networking groups in your area. You can learn more at our website http://www.appo.org. We have 2 free guides with a lot more details. What type of specifications for a computer would you need for this type of business?